To claim this profile, please confirm you are Ladarius Owens. To follow this profile, please let us know your relationship to Ladarius Owens. 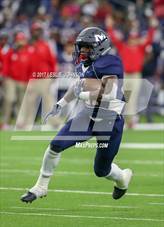 Ladarius was tagged in the video "Ladarius Owens's highlights Lamar Consolidated High School." Ladarius was tagged in the video "Ladarius Owens's highlights Foster High School." Ladarius' baseball stats have been updated for the win @ Fort Bend Hightower. Ladarius' baseball stats have been updated for the win @ Fort Bend Marshall. Ladarius' baseball stats have been updated for the win vs. Fort Bend Marshall. Ladarius' baseball stats have been updated for the loss vs. Foster. Ladarius' baseball stats have been updated for the loss @ Foster. Ladarius' baseball stats have been updated for the win @ Lamar Consolidated. Ladarius' baseball stats have been updated for the win vs. Lamar Consolidated. Ladarius' baseball stats have been updated for the win vs. Terry.